The biggest benefit to wearing the Apple Watch over a traditional watch is that it might save your life one day, whether that's encouraging you to exercise more, alerting you to an irregular heart rhythm, or notifying the emergency services if you've fallen over. Now, it looks like the Apple Watch Series 5 could take that one step further, including technology which would help detect strokes before they happen. 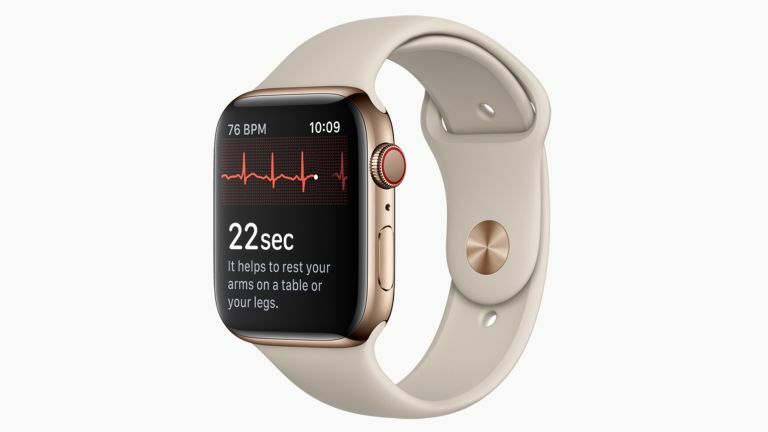 According to a report from USA Today, Apple has teamed up with Johnson & Johnson on a study to determine whether the latest Apple Watch, in conjunction with an app from the pharmaceutical company, can accelerate the diagnosis of a leading cause of stroke. The study will use the ECG built into the Apple Watch Series 4 to detect Atrial fibrillation (AFib). According to the American Heart Association, "All types of AFib can increase your risk of stroke. Even if you have no symptoms at all, you are nearly 5 times more likely to have a stroke than someone who doesn’t have atrial fibrillation". The trial, which kicks off later in the year, is limited to U.S. adults ages 65 years and older who wear the Apple Watch Series 4. Cardiologist Paul Burton, Johnson & Johnson’s vice president of medical affairs for internal medicine, believes, "the study has the potential to show that there is a lot more atrial fibrillation out there in the real world in older people than we ever imagined, and if you use a tool like an Apple Watch to detect and funnel people to care, you can really drive down stroke risk in those patients." The ability to detect strokes would certainly add another weapon to the Apple Watch's arsenal. While the trial is slated to run for several years, we think it's fair to say it'll make its way to your wrist at some point in the future. Apple CEO Tim Cook recently spoke to USA Today about Apple’s ambitions in the health space, saying, "I think you'll be able to look back at some point in the future and Apple's greatest contribution will have been to people's health. I think it's that big."